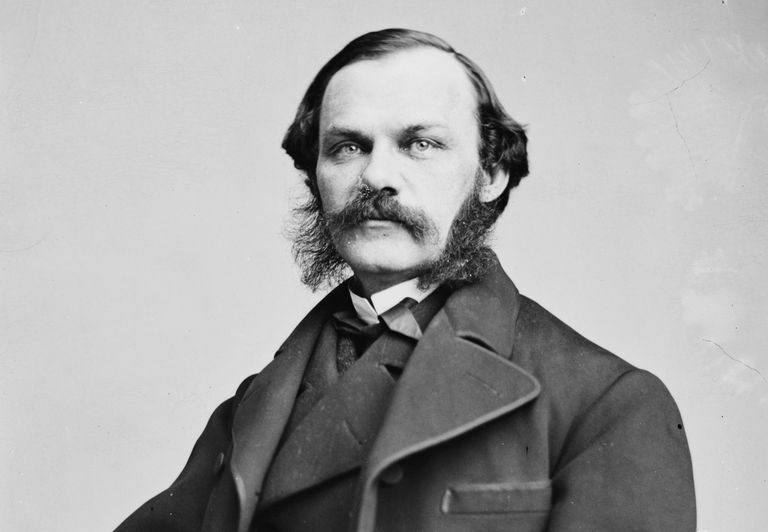 Henry J. Raymond, political activist and journalist, founded the New York Times in 1851 and served as its dominant editorial voice for nearly two decades. When Raymond launched the Times, New York City was already home to thriving newspapers edited by prominent editors such as Horace Greeley and James Gordon Bennett. But the 31-year-old Raymond believed he could provide the public with something new, a newspaper devoted to honest and reliable coverage without overt political crusading. Despite Raymond's deliberately moderate stance as a journalist, he was always quite active in politics. He was prominent in Whig Party affairs until the mid-1850s, when he became an early supporter of the new anti-slavery Republican Party. Raymond and the New York Times helped bring Abraham Lincoln to national prominence after his February 1860 speech at Cooper Union, and the newspaper supported Lincoln and the Union cause throughout the Civil War. Following the Civil War, Raymond, who had been the chairman of the National Republican Party, served in the House of Representatives. He was involved in a number of controversies over Reconstruction policy and his time in Congress was extremely difficult. Habitually afflicted by overwork, Raymond died of a cerebral hemorrhage at the age of 49. His legacy was the creation of the New York Times and what amounted to a new style of journalism focused on the honest presentation of both sides of critical issues. Henry Jarvis Raymond was born in Lima, New York, on January 24, 1820. His family owned a prosperous farm and young Henry received a good childhood education. He graduated from the University of Vermont in 1840, though not after becoming dangerously ill from overwork. While in college he began to contribute essays to a magazine edited by Horace Greeley. And after college he secured a job working for Greeley at his new newspaper, the New York Tribune. Raymond took to city journalism, and became indoctrinated with the idea that newspapers should perform a social service. Raymond befriended a young man in the Tribune's business office, George Jones, and the two began to think about forming their own newspaper. The idea was put on hold while Jones went to work for a bank in Albany, New York, and Raymond's career took him to other newspapers and deepening involvement with Whig Party politics. In 1849, while working for a New York City newspaper, the Courier and Examiner, Raymond was elected to the New York State legislature. He was soon elected speaker of the assembly, but was determined to launch his own newspaper. In early 1851 Raymond was conversing with his friend George Jones in Albany, and they finally decided to start their own newspaper. With some investors from Albany and New York City, Jones and Raymond set about finding an office, purchasing a new Hoe printing press, and recruiting staff. And on September 18, 1851 the first edition appeared. On page two of the first issue Raymond issued a lengthy statement of purpose under the headline "A Word About Ourselves." He explained that the paper was priced at one cent so as to obtain "a large circulation and corresponding influence." He also took issue with speculation and gossip about the new paper which had circulated throughout the summer of 1851. He mentioned that the Times was rumored to be supporting several different, and contradictory, candidates. "We do not mean to write as if we were in a passion, unless that shall really be the case; and we shall make it a point to get into a passion as rarely as possible. "There are very few things in this world which it is worthwhile to get angry about; and they are just the things that anger will not improve. In controversies with other journals, with individuals, or with parties, we shall engage only when, in our opinion, some important public interest can be promoted thereby; and even then, we shall endeavor to rely more upon fair argument than upon misrepresentation or abusive language." The new newspaper was successful, but its first years were difficult. It's hard to imagine the New York Tijmes as the scrappy upstart, but that's what it was as compared to Greeley's Tribune or Bennett's Herald. An incident from the early years of the Times demonstrates the competition among New York City newspapers at the time. When the steamship Arctic sank in September 1854, James Gordon Bennett arranged to have an interview with a survivor. Editors at the Times thought it unfair that Bennett and the Herald would have an exclusive interview, as the newspapers tended to cooperate in such matters. So the Times managed to get the earliest copies of the Herald's interview and set it in type and rushed their version out to the street first. By 1854 standards, the New York Times had essentially hacked the more established Herald. The antagonism between Bennett and Raymond percolated for years. In a move that would surprise those familiar with the modern New York Times, the newspaper published a mean-spirited ethnic caricature of Bennett in December 1861. The front-page cartoon depicted Bennett, who had been born in Scotland, as a devil playing a bagpipe. Though Raymond was only 31 when he began editing the New York Times, he was already an accomplished journalist known for solid reporting skills and an astounding ability to not only write well but write very fast. 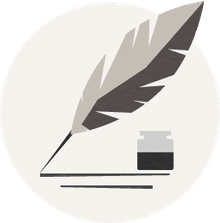 Many stories were told about Raymond's ability to write quickly in longhand, immediately handing the pages to compositors who would set his words into type. A famous example was when the politician and great orator Daniel Webster died in October 1852. On October 25, 1852, the New York Times published a lengthy biography of Webster running to 26 columns. A friend and colleague of Raymond's later recalled that Raymond had written 16 columns of it himself. He essentially wrote three complete pages of a daily newspaper in a few hours, between the time the news arrived by telegraph and the time the type had to go to press. Besides being an inordinately talented writer, Raymond loved the competition of city journalism. He guided the Times when they battled to be first on stories, such as when the steamship Arctic sank in September 1854 and all the papers were scrambling to get the news. In the early 1850s Raymond, like many others, gravitated to the new Republican Party as the Whig Party essentially dissolved. And when Abraham Lincoln began to rise to prominence in Republican circles, Raymond recognized him as having presidential potential. At the 1860 Republican convention, Raymond supported the candidacy of fellow New Yorker William Seward. But once Lincoln was nominated Raymond, and the New York Times, supported him. In 1864 Raymond was very active at the Republican National Convention at which Lincoln was renominated and Andrew Johnson added to the ticket. During that summer Raymond wrote to Lincoln expressing his fear that Lincoln would lose in November. But with military victories in the fall, Lincoln won a second term. Lincoln's second term, of course, only lasted six weeks. Raymond, who had been elected to Congress, found himself generally at odds with the more radical members of his own party, including Thaddeus Stevens. Raymond's time in Congress was generally disastrous. It was often observed that his success in journalism did not extend to politics, and he would have been better off to stay out of politics entirely. The Republican Party did not renominate Raymond to run for Congress in 1868. And by that time he was exhausted from the constant internal warfare in the party. On the morning of Friday, June 18, 1869, Raymond died, of an apparent cerebral hemorrhage, at his home in Greenwich Village. The next day's New York Times was published with thick black mourning borders between the columns on page one. "It is our sad duty to announce the death of Mr. Henry J. Raymond, the founder and editor of the Times, who died suddenly at his residence yesterday morning of an attack of apoplexy. "The intelligence of this painful event, which has robbed American journalism of one of its more eminent supporters, and deprived the nation of a patriotic statesman, whose wise and moderate counsels can ill be spared at the present juncture of affairs, will be received with deep sorrow throughout the country, not alone by those who enjoyed his personal friendship, and shared his political convictions, but by those also who knew him only as a journalist and public man. His death will be felt as a national loss." Following the death of Raymond, the New York Times endured. And the ideas advanced by Raymond, that newspapers should report both sides of an issue and show moderation, eventually became standard in American journalism. "If those of my friends who call me a waverer could only know how impossible it is for me to see but one aspect of a question, or to espouse but one side of a cause, they would pity rather than condemn me; and however much I may wish myself differently constituted, yet I cannot unmake the original structure of my mind." His death at such a young age came as a shock to New York City and especially its journalistic community. The following day the main competitors of the New York Times, Greeley's Tribune and Bennett's Herald, printed heartfelt tributes to Raymond.